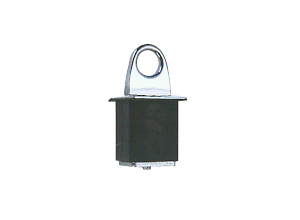 Stake pocket anchor fits into the pick up stake pocket rapidly and easily. 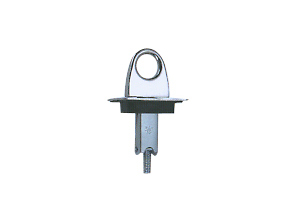 simply loosen the eye bolt on stake pocket anchor, insert complete unit and tighten. 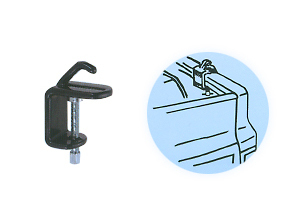 The rubber base expands to assure a tight fit in the stake packet and aboslute tie down for all kinds of cargo. NO bolts, no holes, no tools, no damage. Tie down machinery, hay, barrels, tarps, appliances. Tie down boat, motorcycle, camp, equipment, farm equipment. 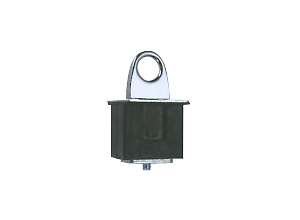 Model : AP11001 2" , AP11002 3 "
Heavy, duty, vinyl coated steel anchor point will not rust or scratch. 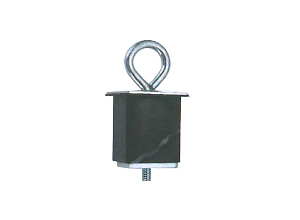 Stronger than traditional stake pocket anchors.The "C" clamp design with "T" handle allow installation where needed, without tools, just clamp to the pick up truck bed rail.can be used with "under the rail" style beb liners. COPYRIGHT©GINN I ENTERPRISES CO., LTD.